Getting both cards and meeting their combined minimum spending requirement of $3,001 will earn you 103,000 American Airlines miles when your US Airways and American Airlines frequent flyer accounts combine in the second quarter of 2015. What Can You Do with 103,000 American Airlines Miles? a. For 87,500 miles, you can take a round-the-world trip with stops in Tokyo, Mumbai, and Paris. b. For 95,000 miles, you can take a trip to Chile, Australia, and back. South America is as little as 30k miles roundtrip, Europe 40k roundtrip, Asia 50k roundtrip, Africa and Australia 75k roundtrip, and the Middle East and India 90k roundtrip. For the full chart, see here. 67,500 miles is enough to fly one way from the United States to anywhere in East Asia in First Class on Cathay Pacific, which is my second best flight ever. 60,000 miles is enough for a roundtrip from the United States to Northern South America in business class. That means you can fly to anywhere in Peru–like Machu Picchu–with both directions in fully flat beds on a 787 Dreamliner on American Airlines-partner LAN Airlines. I talked more about this award in depth here. The only drawback with this award is that once you experience flying in a fully flat bed, you might not ever want to go back to economy! 100,000 miles is enough for a roundtrip from the United States to Europe in business class. Several American Airlines partners fly to Europe with fully flat beds. I wrote about American’s Los Angeles to London route featuring flat beds in business class here. The newest planes feature an on-board bar in business class, pictured below. How Exactly Do You Get the 103,000 Miles? You apply for one American Airlines personal card and one US Airways card. You make a single purchase on the US Airways card and receive 50,000 bonus miles after your first statement closes. 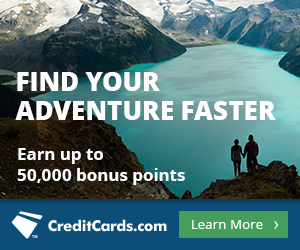 You spend $3,000 in the first 3 months on the American Airlines card and earn 50,000 bonus miles. The bonus miles plus the spending add up to 53,000 American Airlines miles and 40,000 US Airways miles. Your American Airlines and US Airways frequent flyer accounts will be automatically combined in early 2015 as part of the merger between the two airlines. At that point, you’ll have 103,000+ American Airlines miles. The Citi® / AAdvantage® Platinum Select® MasterCard® comes with my favorite feature by far of any airline credit card. While you’re a cardholder you’ll get a 10% miles rebate on all your American Airlines award redemptions up to 10,000 miles rebated per calendar year. That means that if you booked a roundtrip award ticket to Tahiti with your American Airlines miles while you were a cardholder for 75k miles, you’d get 7,500 miles back for a total cost of only 67,500 miles roundtrip! With these cards, you can mentally take a 10% discount on all award prices. Now Europe is only 18k miles each way, a business class bed to Machu Picchu is 27k miles each way, and Cathay Pacific First Class is 60,750 miles each way. If you redeem the 103,000 miles next year, that’s another 10,000 miles rebated because of this benefit. The benefit is automatic, no enrollment necessary. Here’s my experience with the rebate. I value the 10,000 extra miles a year at about $180, so this is a huge ongoing benefit to me and one reason that I hold a Citi® / AAdvantage® Platinum Select® MasterCard®. The 10% rebate on awards is in addition to a free checked bag for you and four companions when flying American Airlines, Group 1 boarding to get that overhead bin space, a 25% discount on in-flight purchases, and double miles on American Airlines purchases. The The US Airways® Premier World MasterCard® comes with a free checked bag for you and four companions when flying US Airways, Zone 2 boarding to get that overhead bin space, and double miles on US Airways purchases. Applying for the American Airlines and US Airways cards. Waiting until early 2015 for your American Airlines and US Airways miles’ balances to be combined. Once you have the cards, you can enjoy the 10% rebate on the miles needed for AAdvantage awards up to 10k miles per calendar year and other benefits like a free checked bag and priority boarding on both airlines. I’ve looked next year July-Sept 2015 and I can’t even find 2 awards in economy for LAX>NAN. How do you search for award space for Fiji Airways? On alaskair.com. Lots of days with 2+ economy seats. Very little business class space. Ahhh. I see award space now. Thanks Scott. You’re a genius! Award space has become extremely limited to South America in the times when normal people would have time to go. To Europe it’s mostly British airways space with massive surcharges. Probably best use of these miles is to Asia. At least there’s more routing options. When do normal people have time to go to South America and when don’t they? There is good award space to Europe with airberlin, Finnair, and Iberia. Try finding even coach during school holidays. December 17 – 22 departing, and coming back before January 10th. Sure, if you’re willing to cut your trip in half and just sit in Buenos Aires for a week i could fly out at Xmas, but if you want to actually experience Argentina for 2-3 week the dates don’t work until less than a month before departure, when they may start giving away space. There is award space to very few places during Christmas break. That’s just not a time to use miles in my opinion. The deal with miles, and I think it’s fair, is that airlines use them to unload unsold seats. Seats are sold around Christmas. I’m not sure about your assertion that “American has the most and best award space to South America.” I just booked a flight to Peru in March, and could not find any availability at all on LAN through the BA website, Qantas, or on the phone. United had many routes, none as convenient as flying direct, but that’s what I ended up using. LAN is extremely stingy these days, but AA flies to Lima from Miami and Dallas. I wouldn’t go there in March, it’s still the wet season. Wait at least until May, or preferably June/July….unless you only want to go to Lima and the coast. United is definitely up there because Avianca (El Salvador) and Copa (Panama) offer good connections throughout the Americas. But I like AA miles more. Cheaper awards (off peak), more destinations available in each country via LAN and TAM affiliates, and I think more total space though it is tough to say for sure on the last count. Damn, you’re good! I am about to complete the AA 3K spending requirement this week (taking me longer than a month!) and I have been wondering what to do with both sign-up bonuses. Right on the money, Mr. Grimmer. I did a RTW trip this year already, so Australia or South America sound good. (Thought about trip to Alaska with U.S.’s 40K and then worrying about the AA miles…) Also, on the cards’ design, are we all getting our plastic replaced? The AA card has a new design. I doubt they’ll send you a new card for a while if ever for your existing card. Thanks for your reply, but, most importantly, thanks for your teaching posts. I have learned a lot with this hobby, which to me is just a year old. Eres un mago! I assume I won’t receive the miles for Mastercard if I currently carry the AA Visa? I had cancelled my and my husband’s old Citi AA Visa’s 11 months ago and we both got the new MC tonight no problem. Thank you, Scott! This will help our family fly on the same airline together next summer. Really, Scott? I expect better from this blog vs, say, #ThePointsPimp. Those lines should not be construed to be direct flights. There also isn’t a nonstop from Sydney to New York or Paris to Mumbai with AA partners. Sorry for any confusion. Japan Airlines flies NRT-DEL (Delhi) or you can fly NRT/HND-HKG-BOM on Cathay Pacific for the same number of miles. There’s award space almost every day. Needs to be 18-26 months from application. Closing date is irrelevant. Good luck. For using AA miles on Air Tahiti Nui for flights between PPT -LAX, how many seats in Bus-I class do they normally release? I currently have a one-way from PPT-PHX on a combo of HA and USairways but it’s all just the recliner type seating and I noticed TN has almost lie-flat seating so I was looking to switch if possible. I checked on a trial signup for EF and it said zero seats available for the 2 flights that go PPT-LAX. The date I would need the flight is Sept.12th, 2015. It would be worth it for me to buy the yearly subscription to EF in order to set up an alert if there was a good chance of snagging the seat. I also would pay your award booking service fee if you could get me on one of those flights. Any thoughts? They “usually” release 2 seats when they open the calendar and then no more. What do the days around 9/12 say? Split up into pairs. 4 biz to Europe on the same flight in high season is almost impossible. The best miles for it would be United, probably routing via Canada. 4 seats in July/August is almost impossible. Last year (travel July 2013) I booked 11 months in advance and I got two J seats one way! on BA, SFO-LHR-NBO to burn my Chase/BA Visa Travel Together voucher (earned after a $30K spend) and paid (IIRC) $3,200K in “fuel” surcharges to boot. Moral: Chase/BA Companion Voucher is a sucker bet. 2nd Moral: Consider a straight 2% card like the Fidelity Amex or the Capital One Venture and buy your own tickets. Wondering if there is an order or time frame in which to apply for both cards, as I’ve read on your blog before? Also, am I correct in thinking that 93,000 miles could be almost 4 round trips within the 49 states/Canada? If you want them both, same day is fine. Yes, 4 r/t at Saver prices within USA is 100k miles. Still trying to wrap my mind around this…can we use miles to get tickets for both my husband and myself? 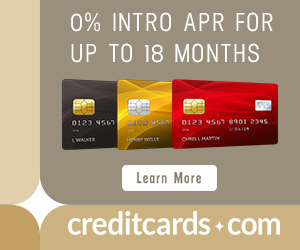 It says only the primary cardholder earns miles, but is that just referring to accumulating them, not using them? Is there a way to make it possible for both of us to use miles? Hi Scott – Is it safe to say that the $99 companion pass (for up to 2 companions) that accompanies the US Airways card is useless in view of the way they are merging the programs? Recently got the card with the 50,000 mile sign-up bonus, but expect that the companion pass won’t be useful by the time it arrives. Read the fine print on the back. Just cancelled my US Airways Premier World Mastercard today (which I applied for and received in May 2014). Was hoping for a retention bonus, citing that I already had the Citi AA Card and didn’t need two separate cards for the same airline/FF program. I also mentioned that the free checked back doesn’t apply to flights booked & paid for with a different card (which is pretty cheap, to be honest, if you are business traveller and not always booking flights with your personal cards). No bonus at all was offered and the guy cancelled it pretty quickly! I was surprised – I never really used the card much, but still I thought they’d be more proactive when faced with the prospect of losing customers to Citi. Will apply for the card again in the next month or two to get the bonus one last time before it disappears. I haven’t applied for any new cards in over 91 days now (and over 6 months w/Barclays), so in theory could I apply again today for a new US Airways card? In theory, yes, you have a solid chance of getting the card again. I’m trying to get to Europe in economy in late May or June – is their any hope for finding something on OneWorld without having to pay fuel surcharges? Ugh. Approved for the AA card, didn’t receive immediate approval for the US Airways card (they say my application requires further review). The next step is to call the company and inquire if there’s any other financial info I can give them to help them with their decision, correct? Or is this usually a lost cause? Very new to all of this – pro opinions appreciated! Call Barclaycard at 866-408-4064. Def not a lost cause yet. Thanks, Scott! Will try them back when they open in the AM. Not sure why they’d feel they should delay. Perhaps because I’d just applied for the AA card moments before? If anyone can share any tips on preparing for such a call, that’d be sweet. Approved! Thanks again for posting that number, Scott! 2015-16 off-peak European vacation planning can commence! Hi Scott this is fantastic info and I’m willing to try it, but I’m not looking to travel until fall 2016. Will by rewards points be good until then? And do you think they will work to travel to Africa? I want to go to Morocco and Egypt. Ok I look forward to hearing back from you. Thank so much! !